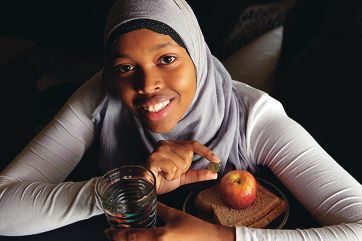 Umulkhayr Hassan (19) intends to live for a week on two dollars a day. Bartholomew House chief executive Andrew Hogan said more people were seeking crisis accommodation, placing increasing pressure on the shelter. ‘We’re turning people away, almost on a daily basis, from our crisis and transitional or homeless port, because we simply don’t have the room,’ he said. Bartholomew House doubled the size of its aged care facilities last year when it moved to its current East Perth Lime Street location, with an extra 54 long-term units for homeless people added. It offers accommodation for adult men for a maximum of five months. Mr Hogan said the real problem was finding them somewhere to live once that time elapsed. ‘Engineers will tell you that you’re only as efficient as your narrowest bottleneck, and the biggest bottleneck for us, in terms of moving people through the homeless episode, is finding somewhere for them to live once they exit our service,’ he said. He added that there appeared to be an increasing number of older people coming into crisis care, as pension payments made it difficult to adapt to higher rental costs. ‘There are a number of people coming through who are in their 40s, 50s and 60s, who are homeless or at risk of homelessness,’ he said. ‘They’re on a disability support pension, or a fixed income, and any changes to their rental situation and disability payments can leave them in dire straits.